MMA Los Angeles: Summer Brawl | MMA Fighting Events Videos Techniques UFC Fight Picks and News. If you've been itching to catch some live MMA action and you're in the Los Angeles area, Bulldog Promotions in association with Spar Star Promotions brings you Summer Brawl. 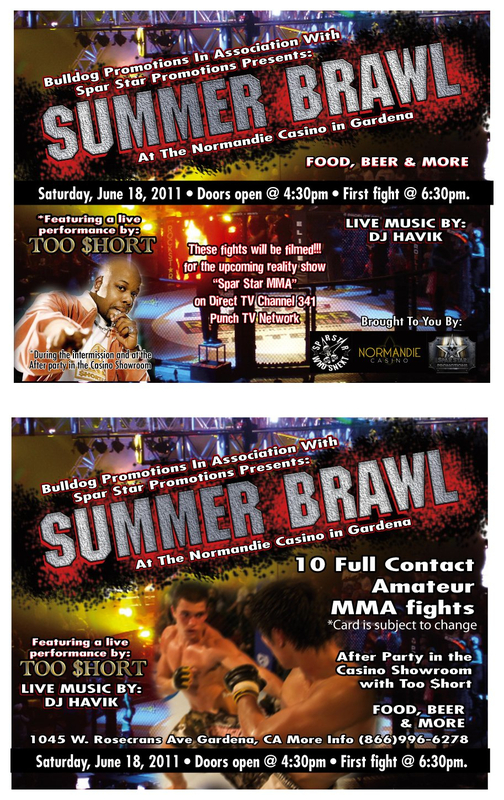 The Summer Brawl MMA event will take Place at the Normandie Casino in Gardena this Saturday June 18. Summer Brawl in Gardena (Los Angeles County) at the Normandie Casino will feature 10 full contact CAMO sanctioned MMA fights. The doors to Summer Brawl will open at 4:30 p.m. and the first fight kicks off the night at 6:30 p.m.
MMA is entertaining enough, but Summer Brawl will feature more than just MMA fights. There will be live music by DJ Havic and the Summer Brawl MMA event after party will take place in the Normandie Casino floor. 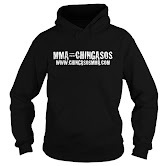 Chingasos MMA has had the pleasure of attending a few of the MMA events put on by Spar Star Promotions and they've never failed to showcase some exciting fights and exciting up and coming MMA fighters. I'm confident Summer Brawl will be no exception and that MMA fans will pleased with the fights and the event production. For tickets to the Summer Brawl MMA event call 866-996-6278. The Normandie Casino is located in Los Angeles County in the city of Gardena. Here is the address: 1045 W. Rosecrans Ave, Gardena, CA. Check out some of the best MMA fight videos from Bellator.